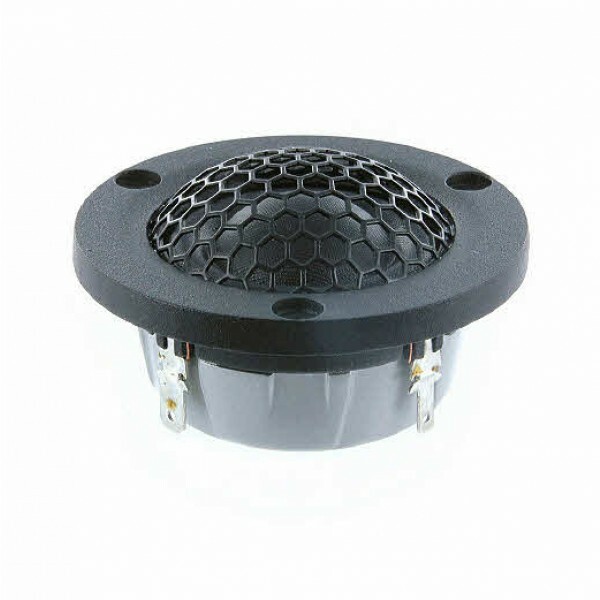 Scanspeak D3004/602000 Illuminator Tweeter, a member of the superb Illuminator Range. Very compact and excellent for small speaker systems and car audio applications. 3 mounting holes. Black die-cast anodised aluminum face plate and black protective grille over the 1" textile dome. This tweeter features the “SD-2" Neodymium large magnet symmetric drive motor system. Excellent wide dispersion from the large roll surround. These compact tweeters are fully comparable both in sound output and quality to the larger members of the Illuminator or Revelator ranges.